SUMMARY: The Dancer's Palace is well known as one of the few civilized "neutral grounds" in these perilous times, a useful source both for intelligence on the enemy, but also in cultivating useful informal lines of communication and influence with its more moderate elements. Indeed, as detailed in earlier reports to Master Urso and the Council some of these assets proved vital in saving lives and strengthening my sway over the Cartel Council during the recent "Nexus" Crisis. While I was initially asked to sit in as a favor for the Palace's more Republic friendly Owner, the Chief Enforcer Karren of one Torello the Hutt (a minor Cartel Council member) quickly tried to strongarm the Palace Owners by alleging his master has received covert requests to "tag" Imperial targets for Republic combatants to escalate hostilities within Hutt Space. While such moves are hardly unusual in time of war, this Enforcer Karren was quite clear that the deal it the beginnings of a long-term plan to target the Dancer's Palace itself and attempt to treat it as an Imperial-friendly target to be eliminated. I do not know who has authorized this, and for certain if the Hutt's claims are true, but believe it a credible warning that zealots within SIS or other Republic agencies may be making some brash moves that may threaten not only Jedi interests and my work there, but anger the Hutts if open conflict erupts in their Home-System (potentially risking our Alliance). SUMMARY: Two of my allies have warned me of an alien with exotic weapons murdering Jedi on Nar Shaddaa (at least 3 victims). Uses exotic weapons and appears to be seeking out Jedi specifically as a challenge. Nearly bested a Jedi Master in single combat, and remains at large. We are keeping news of this discreet to avoid more casualties from people playing hero, but do advise extreme caution and all Jedi, especially Padawans/Initiates avoid isolated areas or travelling alone. STATUS:Investigation and attempts to contain this being ongoing. SUMMARY: Just wished to inform the Council and my fellow Jedi that, as I do not at present have a Padawan, I would like to offer my services generally to visiting Padawans, Initiates, or simply fellow Knights looking to train together. As in the past, the Wysan Skyhold also has secure housing available for members of the Order needing accommodations in a pinch as well. SUMMARY: I am in the midst of expanding some medical and humanitarian services to denizens of the Nar Shaddaa Undercity. Individuals with interest in assistance are encouraged to contact me! take Padawan Ko'valii on as my formal learner. I have been some time without a long-term student, and it seems his skills and temperament is well suited to sensitive work on the Rim and Underworld settings. As a classified formality, I have checked the Archives and wanted to confirm with the Masters of the Custodum their awareness of his history as an Imperial Operative of the Chiss people. He was quite frank about his past, including the reasons for his defection and tangental contact in the field with Sith Force-users before his discovery of his gifts. He seems responsible and committed to the Light, but I will be mindful of some of the unique challenges this may present in his training. It is my understanding he has already passed the Trials as an Initiate, and no further formalities are needed to take him on- but please contact me if this changes. I have also done some informal training with Padawan Kitkasa, who does not yet have a formal master. I may introduce him to my stepson, Daimren Vel-Korr of the Alderaanian Enclave given his interest in advanced lightsaber dueling- although he'd formally notify both respective Council's should Kitkasa wish to take a Master between Enclaves. STATUS: Training proceeding as stated. OOC: Assuming based on his rank IC no further formalities needed, and moving this along story-wise to get trainings going and prepare for the jump. SUMMARY: I am heartened at the return of my colleagues in this dire time. The following is a summary of my State of the Galaxy report aboard the Custodum's Watch last week. My daughter, Nylaa Korr Wysan who also left shortly before the Watch's becoming lost, and who served as my courier has decided to continue to remain aboard for some period to help in the resupply and refugee aid process. The most significant points of note in regards to Jedi business are the mass-withdrawel of many in the order, into full hiding or various forms of public "retirement." Communication with the Tython Council has been lost even by many of those of us who are tuned into Galactic affairs, but informal networks of Jedi- including several Custodum, Alderaanian and Corellian Enclave members- have taken steps to work together in secret. One of our most significant efforts has been the Jedi Underground Railroad which has taken steps to identify, conceal and when necessary transport Force Potentials or Jedi Kin/Family to safehouses and settlements further from the eyes of Zakuul, the Sith or corrupt Republic officials. The details of these routes are available to leadership and on a limited basis to those seeking involvement, the Keeper of a given Node remains known only to a limited number down the line to avoid discovery. Thus far the Eternal Empire's intentions towards the Jedi remain unclear, although there have been rumors of attempted recruitment or capture by certain Zakuul Knights or Exarchs. I have attempted to discreetly track their activities in my own region of Hutt Space, which has become an only slightly more dangerous space (Hutts being Hutts) since the Cartel has abandoned its Republic pledges to kowtow to our new Overlords. I have remained there in a semi-public capacity, as a retired Jedi aid worker to war and local refugees. My family's shipyards, like many have taken significant losses, although as noted to the Custodum certain resources remain possibly available to the Custodum via certain shadowports we have ties to. Details of this as well as my brother Admiral Wysan's activities would also be classified to the Council. I can provide more detailed intel reports to Jedi visiting Hutt Space on safe-havens or meeting locations. Though I know some have strong feelings on the location I have remained in touch with the surviving Republic and Imperial-leaning elements of Dancer's Palace, which has some safe locations I personally inspected, but should be known to have been bought up, overall by the local Exarch in hostile takeover. Many other popular establishments have faced a similar fate. My services in training remain possible, although I have avoided doing so openly in my home on Nar Shaddaa due to heightened security concerns. I have also taken on a Journeyman Learner, Knight @Kjasa who rendered significant aid to the Repubilc in her home Tetan system early in the war, and has sought some advanced training. My other Padawan, Ko'valii seems to have joined the number of the missing although I remain on the lookout for him. SUMMARY: This mission was our follow up to the liberation of Padawan Aybekk and some local Tython Padawans from a troubling group of pirates using some sort of ancient artifact. We were invited to join their task force to the dark Moon of Bogan where the Tython temple traced the pirates ship. We're also present for a briefing section, during which the artifact was run through some initial tests. Some of our archaeological experts present recognized it as possible Rakata tech, with a definite dark side presence meriting caution. On reaching Bogan, we located an underground compound built into a circle of ruins. Unfortunately we were detected, and a fierce battle ensued while the pirates attempted to flee in their ship. Despite some valiant efforts, we were unable to stop them before they detonated their base. Several very large, possibly controlled Flesh Raiders were encountered, suggesting there may be other copies of the artifact controlling them. The blast site is being investigated for further clues. Unfortunately the pirate ship also escaped, despite an attempt to disable the engines with light sabers, the result of the very thin space patrols present in the system which allowed them to cross to the dark side of the planet. Future Argent/Wraiths support plans could close some of these gaps. I'm told we will be contacted if any other clues emerge of these criminals. As noted in my verbal report, I plan to return for a longer stay to coordinate aid, feel a possible Allies, and help Argent and the Wraiths explore possible security aid against Pirates and possible Sith incursion, while keeping our exact identities at arm's reach. Sorry this took a bit. I'm hoping to run the next part in two weeks, but might be fun to include some Argent prep RP next week. The Wraiths are also probably continuing to prep thhir side of the mission this Friday, if anyone to join us. Knight Ran-del attests that Miller Turlim's Padawan, Aspasia Maguire, has passed her Trial of the Spirit by facing a terrifying dark force and sealing it despite personal reservations and deep emotional involvement. SUBJECT: Reconnaissance of [CLASSIFIED COORDINATES FOLLOW], designation MAGUIRE. 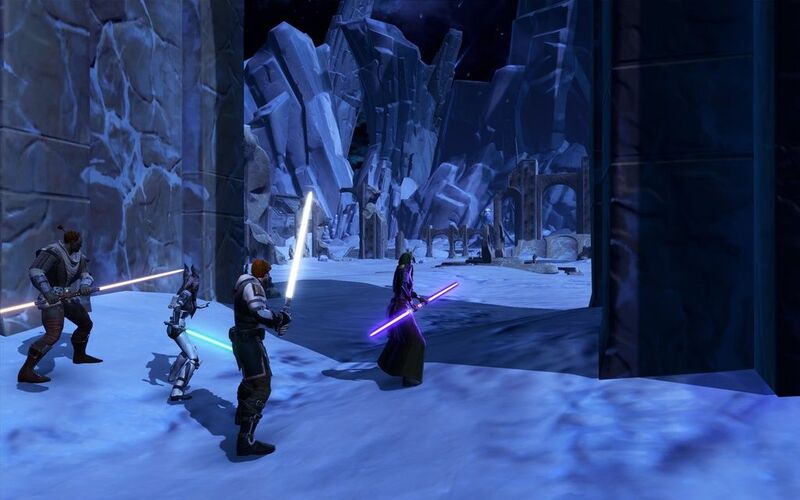 Knight QARDAAK and Padawan MAGUIRE investigated heat signatures on planet MAGUIRE, thought to be uninhabited following the disastrous investigation by Master SHATARI and Padawan ALTENAR prior to the Zakuul invasion. Survivors found on a large island off the main continent, mostly unaware of what had transpired on the mainland save for local superstition. Town of Deakin seemingly the main hub of this island. Qardaak and Maguire investigated, made contact with locals. Local customs reminiscent of Padawan Maguire's own lived experiences on the mainland (refer to file on that, please. Not taking any more questions. ), warranted further investigation. Local force sensitive children greatly endangered. Planet beyond holofrequency range, leaving Qardaak and Maguire on their own. Local dark side adepts (comprising of former Sith, Jedi, Zakuulans and even Dread Masters) seized the children with the blessing of the town, intending to carry them to the 'Ladies of the Night', local gods and subjects of an ongoing investigation, thought to be highly dangerous force adepts and possibly former Jedi (Or even Je'daii. Again, refer to the file. Ongoing investigation.). Qardaak and Maguire pursued and engaged the cultists, known as the Coven, dispatching most of them. Potential survivors, true numbers unknown. Batch of 32 children liberated and extracted before they could be transferred to the 'haunted' mainland via boat. Townsfolk unaware of the children's rescue, issue will continue to be systemic unless the Order returns to put an end to it and investigate the root cause, in this Padawan's own valuable opinion. 32 children currently residing at the Enclave on Coruscant, awaiting vetting for suitability. Many earmarked as perfect candidates for Jedi training. They're a good bunch. STATUS: Severely messed up, but ongoing. Further action on Maguire to come. Recommend more people this time. More information available on request. Find me in the archives. -Signed Pdw. A. Cullen. Maguire. Whatever.